CFN – All Things Food is holding a series of Community Food Workshops in each county this fall as part of the unique assessment they are currently conducting of the food system in Stormont, Dundas and Glengarry Counties. September 25th: Cornwall/Akwesasne – Cornwall Public Library, 6:00 – 8:00 p.m.
September 27th: Glengarry County – Glengarry Memorial Hospital, 6:30 – 8:30 p.m.
October 2nd: Stormont County – South Nation Conservation, 6:30 – 8:30 p.m.
October 4th: Dundas County – North Dundas District High School, 6:30 – 8:30 p.m.
Community members unable to attend the workshops can submit their feedback via an online form on All Things Food’s website starting on September 25th. From the workshops and the additional research that they will be doing, All Things Food hopes to foster a comprehensive understanding of SD&G’s food system and continue working towards building a sustainable local food system within the three counties. 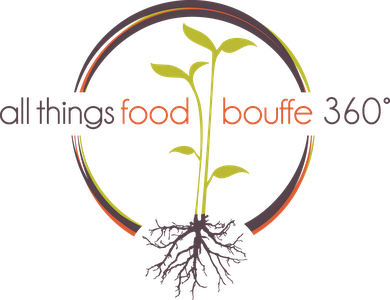 For more information about the Community Food Workshops, contact: Julia Stevens, Research Coordinator by e-mail at julia@allthingsfoodbouffe360.ca or visit All Things Food’s website at www.allthingsfoodbouffe360.ca.